A campsite having proximity to these two tourist sites, which are amongst the most popular of the département, is not the only benefit for you. Indeed, by staying within our Vallon Pont d’Arc campsite, you are also able to take advantage of a setting which could not be more idyllic with direct access to the river, the campsite being located on a peninsula, and running alongside the Ardèche river! 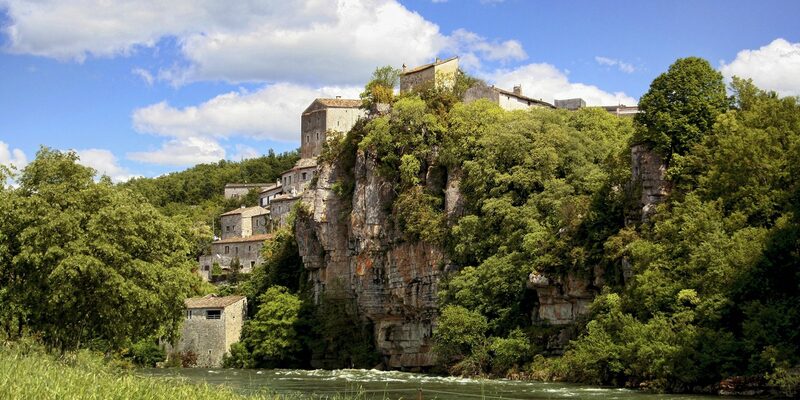 The top tourist destination in the Ardèche, Vallon Pont d’Arc is a compulsory stopping-off place for holidaymakers who wish to discover the Gorges de l’Ardèche (Ardèche gorges), whether by river, in a canoe, or by road, on a bicycle or in the car. Moreover, our campsite is at the entrance to the Gorges de l’Ardèche and a multitude of canoeists take advantage of the beach which runs alongside our campsite to put their canoe in the water and begin the descent down the water course. During this descent, you will have the opportunity to go under the Pont d’Arc, a natural arch with a height of 60 metres which spans the river. Several beaches surround the latter which turn out to be ideal spots to put your paddle down and swim in the Ardèche! Our Vallon Pont d’Arc campsitehas a multitude of facilities and services. Our two aquatic parks, with swimming pools, water slides, paddling pools and Jacuzzis could not be more enjoyed by holidaymakers. We have recently opened an indoor balneotherapy area, as well as a splashpad, for children with an area of more than 100 m². To relax and have fun, head for our well-being space, which has a spa as well as a beauty institute and massage rooms. Our multi-sports ground as well as our tennis courts are ideal for physical activities. Moreover various activities and entertainment are organised by our teams throughout the entire season. On-site, a bar, a restaurant and the children’s clubs, complete the range of services which we are able to offer you.